Welcome to Mudgee Public School. Mudgee Public School was the 52nd school established in New South Wales and it has been providing a quality education to our local community since 1855. Our website is still being developed but I trust the information currently presented reflects the wonderful school that is Mudgee Public. 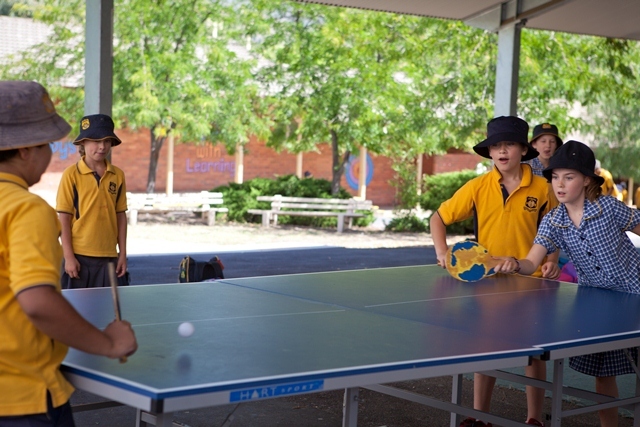 Our website will inform you of the outstanding and varied programs on offer to the children at Mudgee Public. This includes our extensive academic, sports and arts programs; the access to technology which children have in every class room; the way we care for and encourage children to achieve their personal best; as well as details of our outstanding Special Education Unit which caters for children who have a wide variety of learning needs. Thank you for your interest in Mudgee Public. I trust you will enjoy browsing our website as an introduction to our wonderful school. If there is anything I can do to assist you with the education of your child – feel free to contact me.